Festival. Spotlight funded by The Academy of Motion Picture Arts & Sciences. 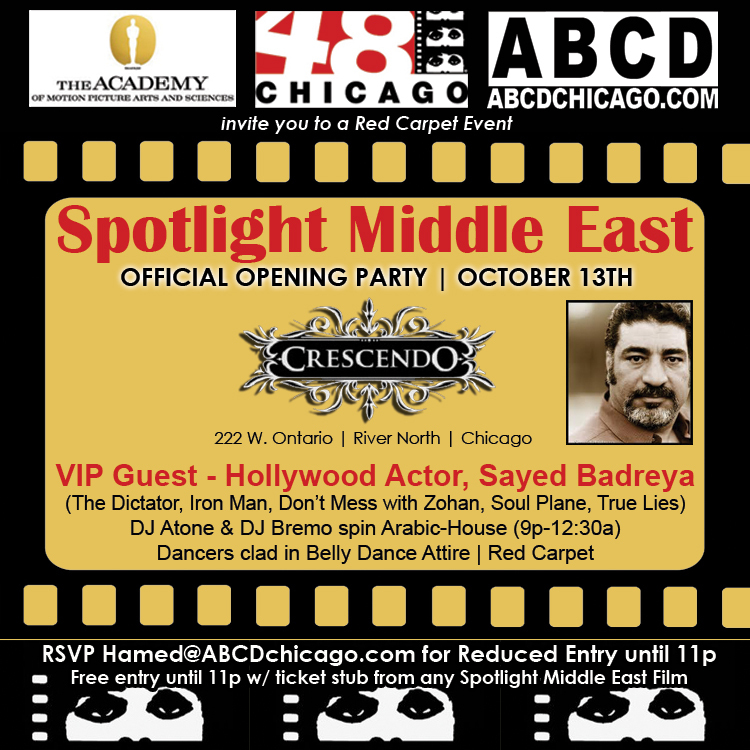 VIP Guest Hollywood Actor, Sayed Badreya (The Dictator, Iron Man, Don't Mess with the Zohan, True Lies, Soul Plane, The West Wing etc). DJ Atone & DJ Bremo spin Arabic-International, 9p-12:30a. 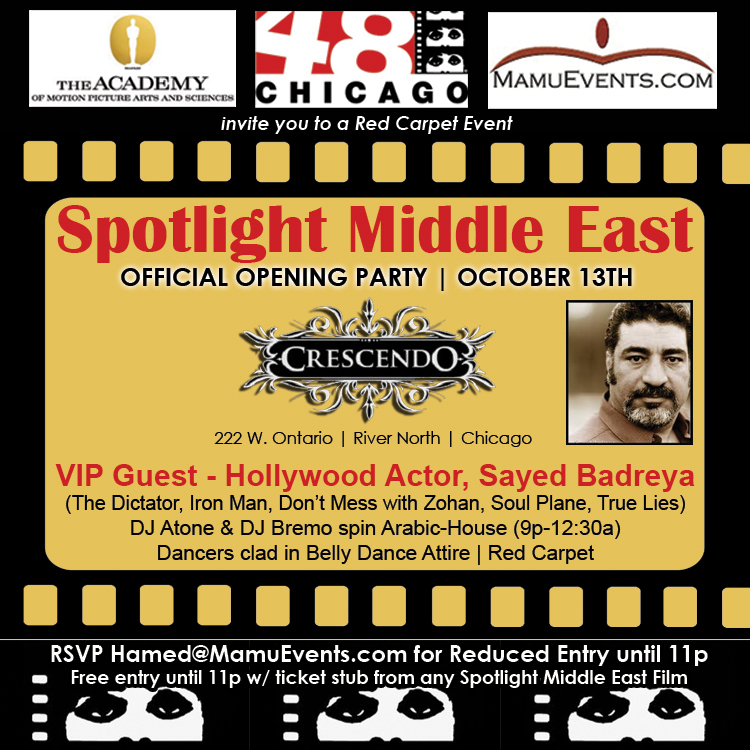 Comp entry, 9p-11p with ticket from any Spotlight Middle East film or RSVP Hamed for Reduced Entry, 9p-11p. For tables, call Crescendo at 312-787-6060.